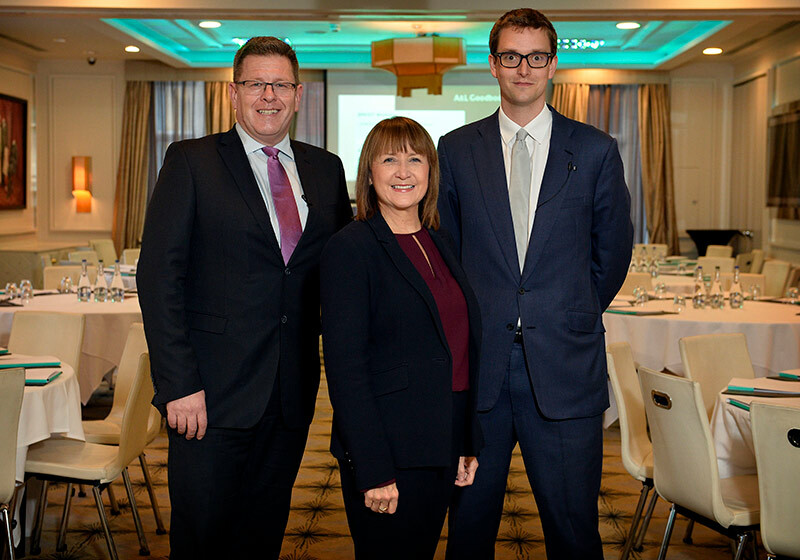 Pictured (L-R): Mark Thomspon, Partner, A&L Goodbody, Ann McGregor, Chief Executive, NI Chamber of Commerce and Jonathan Hacking, Associate, A&L Goodbody. Northern Ireland companies have “plenty they can be getting on with to prepare for Brexit”, despite ongoing uncertainty around how the UK’s exit from the EU will finally take shape. That was our message at a Brexit Breakfast hosted in partnership with the NI Chamber of Commerce & Industry at Belfast’s Merchant Hotel. “It is critical that companies act now to start preparing for Brexit – they mustn’t be stalled by the ongoing uncertainty and volatility. Waiting until March 2019 will simply be too late. Currently, much of the discussion is centred around whether we will have a hard or soft Brexit but, in reality, it will sit across a spectrum and will unlikely have binary outcomes. Instead businesses need to focus on examining where they will fit on that spectrum." Designed to be a practical Brexit planning workshop, the event laid out a series of practical steps that companies in Northern Ireland can take now, rather than waiting until March 2019 or beyond. “Businesses need to get underway with an internal operational review. This will involve putting together an appropriate internal team – compromising sales, HR, IT, procurement and logistics – and ensuring they have sufficient resources to complete an effective review of their business." He advised that this team will first of all need to map their company’s supply chain and sales channels and assess their exposure to compliance and infrastructure changes. They will also need to understand the extent to which their registered IP is going to be changed by Brexit, and also where their IT systems and servers are based and how this may fit with the post-Brexit world. Separately, they will need to consider HR issues and determine to what extent their business currently relies on EU nationals, ensuring that they have assessed whether their EU workers meet the criteria for settled status and that non-EEA visa requirements are considered and checked.